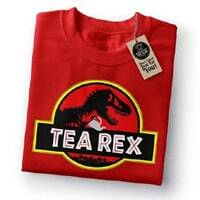 You can get yourself a free TeaRex t-shirt from Monthly Tee Club and you can choose any design you like. Just follow their link, add the t-shirt your like in cart and use code FREEBIE at checkout page to get it free. Once you get your t-shirt, remember to cancel your subscription and it does include P&P charges. Click on “GET IT HERE” button and then follow instructions given above to get this freebie. You will have to pay postage charges.